The Donald L. Bren Co. 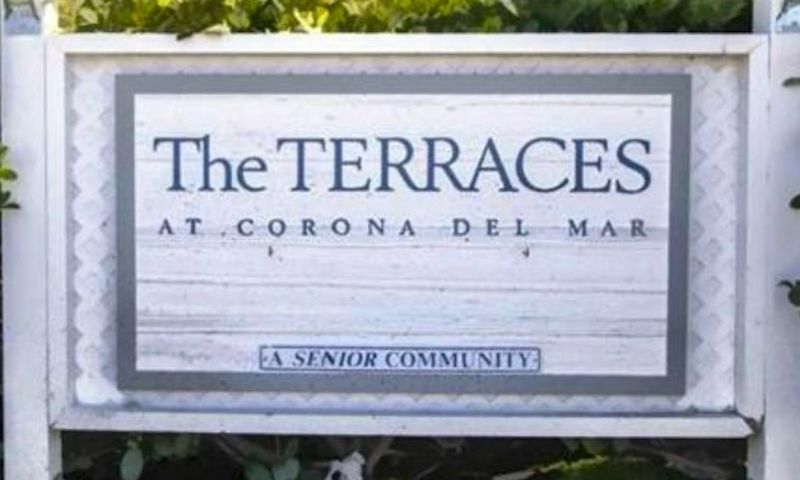 The Terraces at Corona Del Mar is an intimate 55+ community located in Newport Beach, California. The Terraces at Corona Del Mar is located just minutes from the beach, plentiful shopping, and nearly endless recreational opportunities. The attached homes within this well-established community offer low-maintenance living and a close-knit atmosphere in Newport Beach, California. At the center of the community is the clubhouse, where residents gather to socialize with each other. The clubhouse features a gathering room for resident clubs, events or for simply lounging during a nice afternoon. Outdoors, The Terraces at Corona Del Mar features a pool, spa, and patio for enjoying the beautiful year-round Southern California climate. There is also a barbecue area for cooking with friends and neighbors. The Donald L. Bren Company developed The Terraces at Corona Del Mar between 1986 and 1988. There are 100 attached homes within The Terraces at Corona Del Mar some of which are available on a resale-only basis. These units range in size from 1,471 to 1,790 square feet and generally feature two bedrooms, two bathrooms and a two-car garage attached to the building. Some of these luxurious units offer homeowners private patios, granite countertops, plantation shutters, and ocean views. Living in The Terraces at Corona Del Mar means enjoying the company of neighbors and friends in a small, close-knit environment. Residents often gather in the clubhouse for social events like happy hour and holiday parties or enjoy a friendly game of bridge. The Terraces at Corona Del Mar provides homeowners with a beautiful community where neighbors become life-long friends. The Terraces at Corona Del Mar is located in the highly sought-after Newport Beach in Southern California. Residents can walk across the street to the Oasis Senior Center that offers a fitness center, classes, and clubs that range from gardening to sailing. The Terraces at Corona Del Mar is less than a mile from Coast Highway, making scenic drives along the Pacific Coast very convenient. When your next destination is farther, John Wayne International Airport is approximately seven miles away. Residents are also conveniently located next to the Fashion Island shopping mall, providing residents with all their shopping needs. The Terraces at Corona Del Mar is also surrounded by several parks, including the 2,400-acre Crystal Cove State Park. Golfers will delight in the beautiful Newport Beach Country Club and the dozens of other courses within driving distance. The Terraces at Corona Del Mar is also within walking distance to boutique shopping, restaurants, and the beach, giving active adults in Newport Beach, California nearly endless ways to keep their calendars full. There are plenty of activities available in The Terraces at Corona Del Mar. Here is a sample of some of the clubs, activities and classes offered here. There are 100 attached homes throughout The Terraces at Corona Del Mar. The community was constructed with two separate plans that are 1,471 and 1,790 square feet and offer two bedrooms, two bathrooms, a den, and a two-car garage. Please Note: Floor plans are not available at this time. 55places.com is not affiliated with the developer(s) or homeowners association of The Terraces at Corona Del Mar. The information you submit is distributed to a 55places.com Partner Agent, who is a licensed real estate agent. The information regarding The Terraces at Corona Del Mar has not been verified or approved by the developer or homeowners association. Please verify all information prior to purchasing. 55places.com is not responsible for any errors regarding the information displayed on this website.